They did not say Girls would join Boy Scout troops, they said they would announce a Girl Program. if you look at the Family Scouting page on the BSA Site, female cub scouts will crossover into the Girl PRogram while male cub scouts will crossover into the Boy Scouts. I am doing the math and come up with something around June 20, 2021. You do have to meet the time requirements for ranks still. I see my daughter getting hers in early 2022. Disappointed in this move. There already is a great girl scout program. My wife did that and earned her Gold Award. There's also Venturing. No need to change our BSA program at all, except to cave to political pressures. This is horrible. Boy Scouts is a great organization but the nationals is rotten. BSA is falling apart. I am having a hard time seeing how I can stay involved when there is so little integrity at the top. The biggest membership drop came AFTER 2013: when they caved to PC pressure and let gays in. Now that they’re caving to the feminists, you think the numbers are going to INCREASE?!? You aren’t paying much attention. My view is this...at the Cub Scout level, I don't see much of an issue. Packs usually have a family campout as opposed to a scout only function. Cub Scouts is family oriented. It's not really an issue to separate shower times, as most activities have separate facilities. Deep leadership usually isn't an issue. At the troop level however, two deep leadership won't be enough. Teen boys and girls have no business being together on overnight outings. You'll be looking at needing 4-6 deep leadership with mixed sexes as leaders! That can be a huge obstacle at that level. Just my two cents on the issue. Cubs Scouts have always been a family program. Girls have been participating for years. Now they can join. As for co-ed dens, that would be a violation of BSA policy and puts the unit at risk of having their charter revoked. I don't know why youth protection policy is such an issue. There are already girls in BSA programs like Venturing. Sorry, but the BSA already has that issue covered. Nothing new here either. I am not thrilled about how this came about and how quickly it is happening, which says to me that the BSA really is doing this for money and not families or girls. Are we really doing our daughters justice by putting them in programs designed for boys? This is a horrible development. I have 2 daughters and 2 sons. Each enjoyed Scouts....their own Scouts. 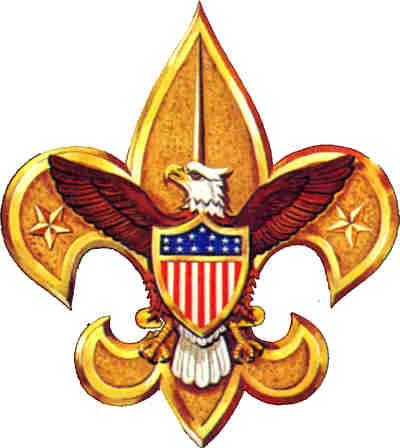 The BSA is NOT the "Scouts of America" we are the BOY Scouts of America. No, girls will NOT be in male dens and girls will most certainly NEVER be in boy troops. This is yet another case of the professional BSA being completely out of touch with the volunteers who make the program a reality to millions of boys. They are destroying our beloved program as we watch. Sad and pathetic.